Looking for some cool curtains and drapes for your kids’ room we has lots of option and style to offer you. We have lots of tips and ideas which surely help you to decorate your kids’ room tastefully and loved by your kids as well. This article has a collection of beautiful curtain design and pattern which you can use for decorating your kids room. Our selection of kids’ bedroom curtains includes several designs for girls’ bedrooms and boys’ bedrooms. Curtains and drapes play an important role in decorating the kid's room as it enhance the beauty of kids' room as well as change the overall atmosphere of the room really nice and merry. There are lots of options and patterns for Kids room curtains and drapes. Many types of curtains options for kids room are available in the market such as printed curtains, theme based curtains and drapes, alphabet curtains and many more. Measurements of window curtains: First of all it is very necessary to have the correct measurement of window for which you are going to buy the curtains. It is good to measure height and width at the top middle and bottom of each window to get correct measurements. 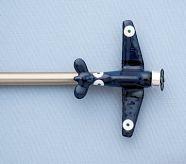 Decide whether you want curtains mounted inside or outside the window frame and determine measurements accordingly. Curtain Fabric: Fabric of kid's room curtain should be light and easily washable so that you can clean them without much effort. Choose the fabric which is soft and helpful to maintain the privacy of the room so that your kid feels cozy and combatable in his/her room. Curtain colors for kids room:It is good to choose vibrant colors for kids room as we all know that kids like bright colors so go for it. Do not forget to ask the color choice of your kids as they are the one who are going to use this room. Kids usually like pink, blue, yellow, orange colors so go for that. Curtain accessories for kids roomYou can add the beauty of the curtains in your kids room by adding some accessories to it like curtain poles, Tie Backs, curtain holdbacks, curtain rods, Curtain hooks and rings, Curtains Tassels, Valances for Kids Room Curtains and many more. It is good to choose the curtain which goes well with the other room decorations. It is good to buy the theme based furnishing for your kids according to the choice, nature and age of your kids. There are lots of curtain and drapes options available for the girls room, you can choose one of them according to your little princess choice. 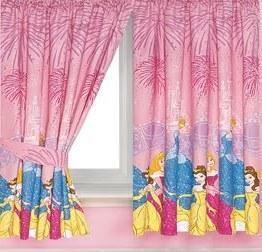 Some popular pattern for girls room curtain are Barbie doll curtains, power puff girls, pink and blue stripped curtains, butterflies and birds pattern, flower pattern curtains and many other patterns which are liked by all the colors. It is always good to look advice from your little doll as she is one who is going to spend most of her time in this room. 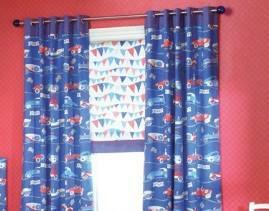 Boys usually like the cars and bikes so use the curtains which have lots of car or bike figures on it. 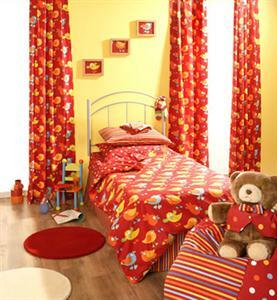 You can also choose the curtain which has pattern of their favorite cartoon like Ben 10, spider man and lots more. 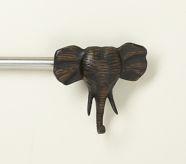 We are sure that your boy love the jungle theme based curtains also. Boys like rooster motif, dolphins, teddy bears, penguins and bugs or airplanes and trains on their curtains so go for them. So go ahead and decorate your kids' room with some interesting curtains and drapes and accessories to make them happy. Do not leave curtain cords hanging and Keep them out of the reach of kids so that kids will not able to pull it and get injured.